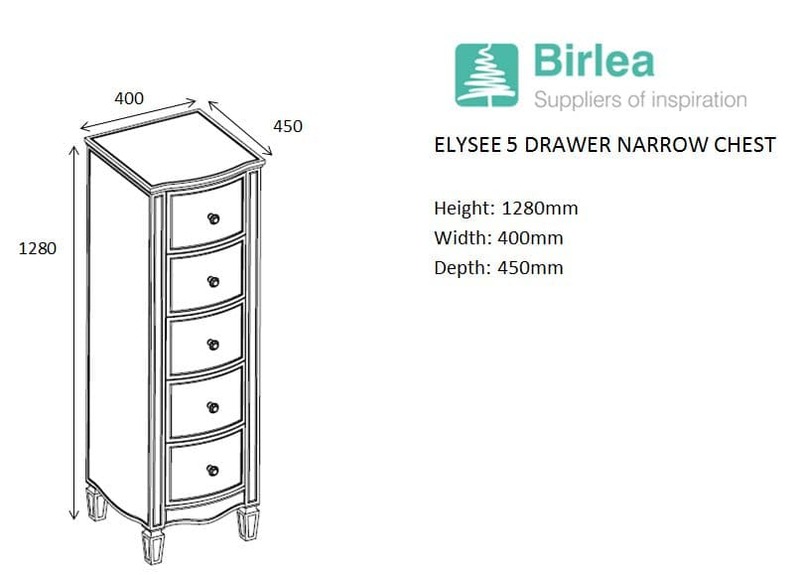 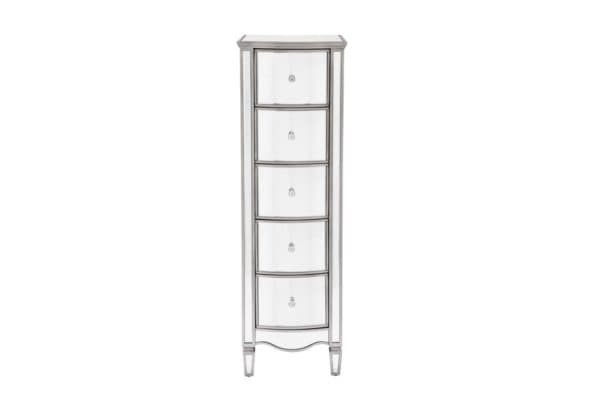 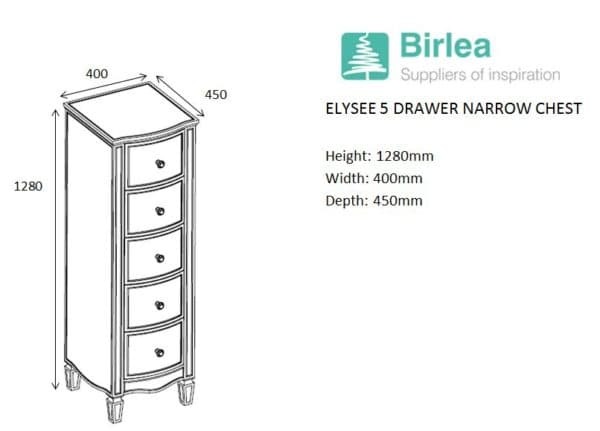 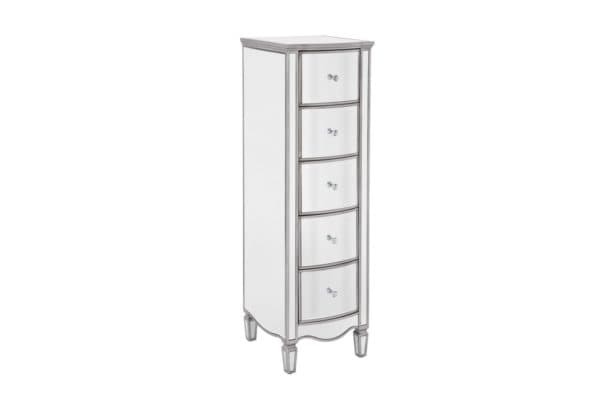 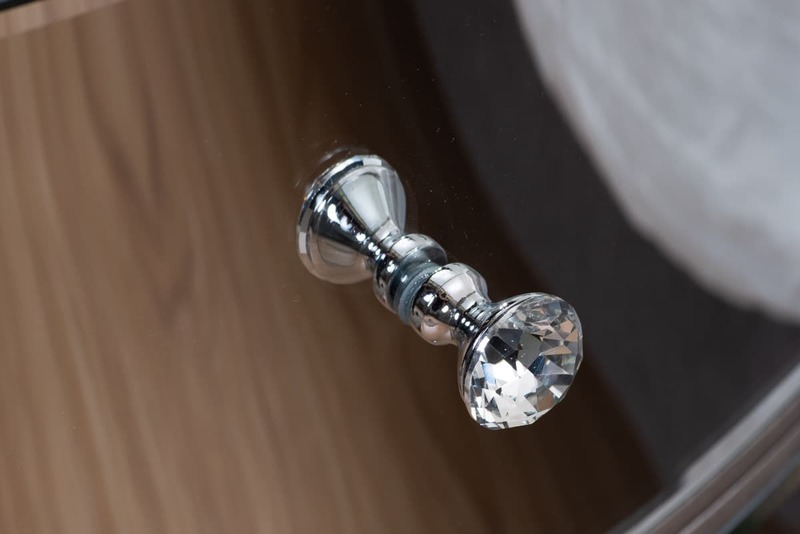 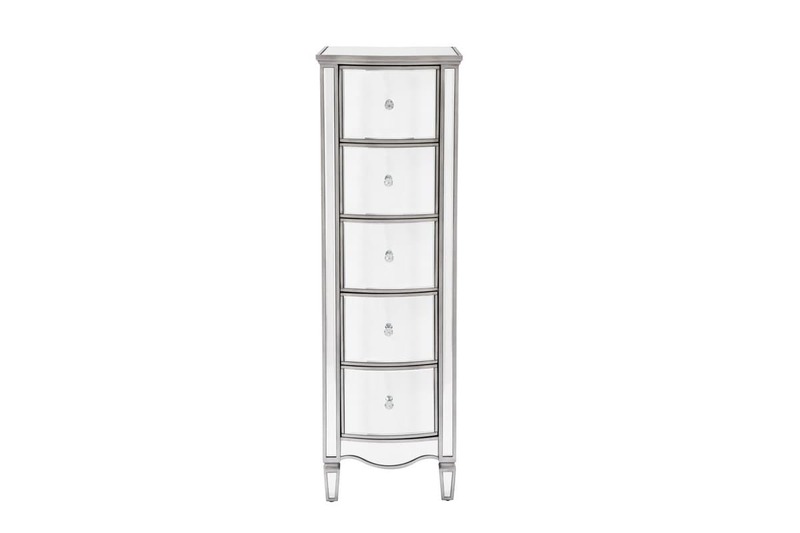 Give your bedroom a sophisticated finish with the Elysee 5 drawer narrow chest. 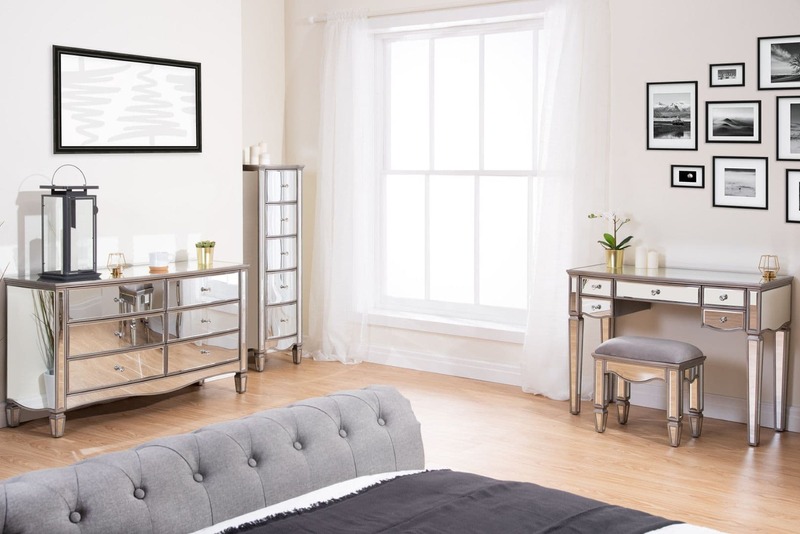 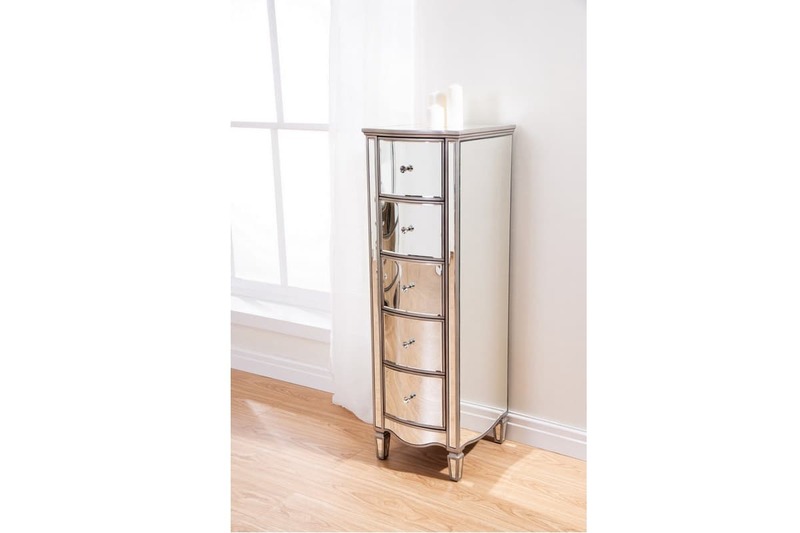 Elegantly made this 5 drawer narrow chest is crafted in a clean, detailed design with a beautiful glass mirrored finish to provide a sense of space and light even in the dullest of rooms. 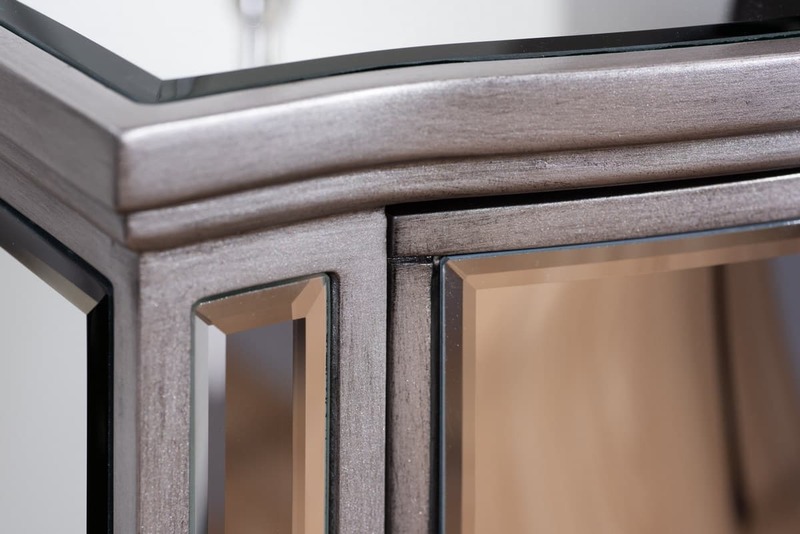 Complete with crystal handles, this Elysee chest features five spacious drawers with a luxurious velour lining.